A few weeks ago Sainsburys cheered up a rainy summers day by sending me a lovely hamper. While the kids and I got excited about the chocolate and sweets, my phone and gadget loving husband disappeared with the phone. I’ll let him tell you his thoughts. I wasn’t expecting much from a pay as you go setup having always been within a contract. I certainly didn’t have high expectations from the type of phone that most Pay As You Go operators offer. Firstly, the experience of unboxing the new phone was every bit as good as what I have experienced from high end mobile units. 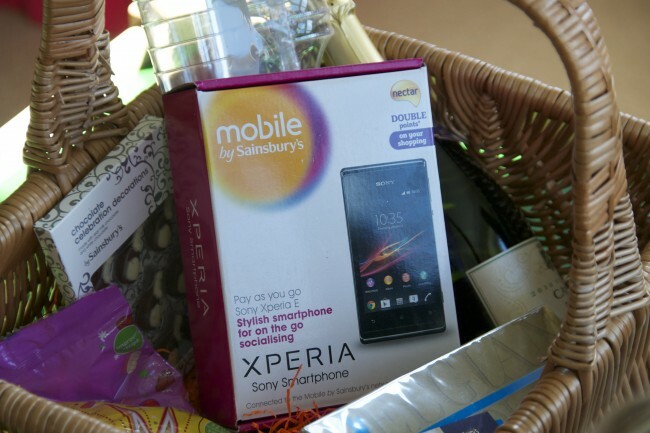 The Sony Xperia E was very well packaged. The contents including Handset, battery, headphones, charger and a screen protector (not seen that elsewhere) were all of the quality you expect from Sony. The quick-start guide was very easy to follow and within minutes I was charging my new phone with SIM installed. When I turned the phone on I was taken through the familiar (to me) Android set up. The Xperia E is not a high performance phone, but the setup is no trouble at all. 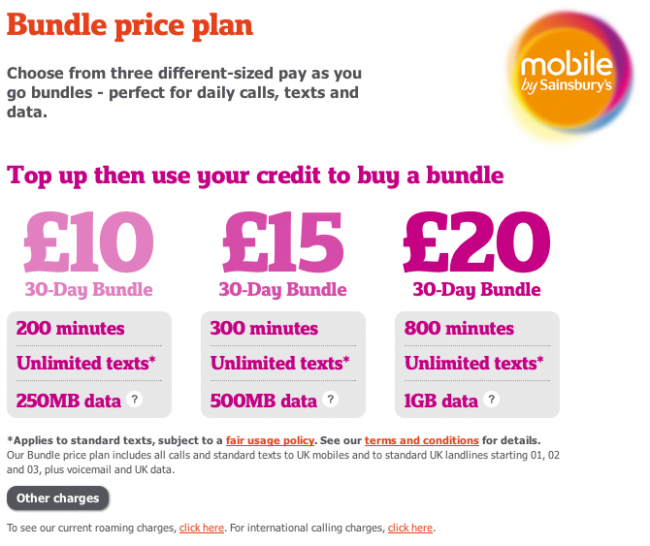 In fact, given the price of the phone and they value that PayG offers there is actually nothing to complain about really. Yes it could benefit from a front facing camera, faster processor – but be assured, this IS a smart phone! The Sainsbury’s package is also excellent. From nothing to a fully fledged Pay as you go platform – tick. Setting up multimedia messaging and internet all catered for as soon as you turn on the phone and connect to the Vodafone network. You receive a helpful text message and you’re immediately up and running. Topping up is very simple too, simply dial the number and follow the menu options and you’re all set. For us Vodafone is essential, it’s the only network in our area where we can get reception and 3G and HSPDA (for high speed download) mean that we can take advantage of all of the smart features of our Android phone (email, YouTube, Facebook etc…) pretty much everywhere we are. So, all in all a pleasant surprise. A decent phone and all the coverage we could ask for. 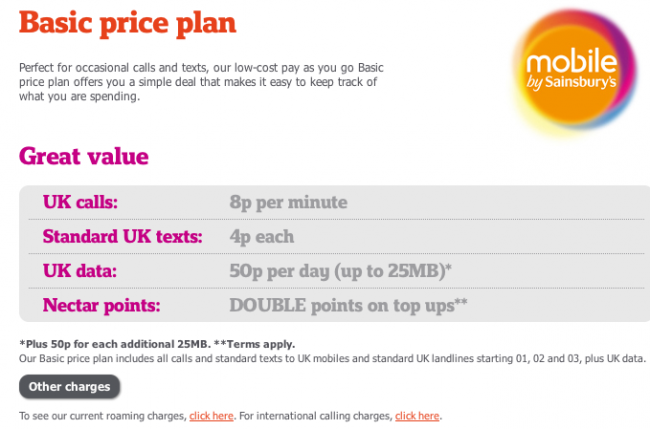 When topping up your phone you can choose either the basic plan, which gives you cheap calls and texts, allowing you to keep track of what you spend, or a bundle. Both are great value. All in all one very happy family. Thank you Mobile by Sainsburys. We were sent the items above and credit for the phone for the purpose of this review. I’m glad you had such a great experience with the phone. My husband tells me all the Xperias are different but I had one (the X I think) many moons ago and wasn’t happy – it’s nice to hear that they aren’t all bad. Anya from Older Single Mum and The Healer recently posted..Dinosaurs in Dorset? Definitely something to consider when my contract is up!